Language in the bill also goes to extreme lengths to ensure that funds will only go to projects that have not received funding from any other source. What will prevent many projects from ever receiving funds, unless those projects are being developed by big corporate incumbents, is the fact that funds can’t be awarded to projects in places where other ISPs are planning to develop infrastructure. President of the Michigan Broadband Cooperative (MBC) Ben Fineman also points out that the legislation only allows the funding to be used for infrastructure. Due to the fact that only $20 million has been allocated for the fund, the Cooperative believes that the funds would be better used as grants for planning. When the bill was set to be heard in committee, Fineman and MBC, along with other state groups interested in community broadband, encouraged constituents to contact their elected officials to express concerns about HB 5670. As a result, the bill was pulled from the agenda. At the time it appeared to be finished, but this wallflower found its way on to the dance floor by being folded into a huge appropriations bill, SB 601. The bill was approved by the Governor on December 31, 2018. Read the specifics in the bill on pages 34 - 36. 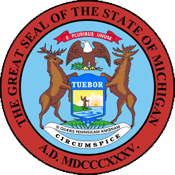 Now, Fineman and MBC request that folks in Michigan who may be dismayed by the result in the bill or annoyed by the legislative process in this case file a comment by February 15th to the Connecting Michigan Communities (CMIC) Grant Program. Perhaps, by educating the folks at the agency that manages the fund and sharing your concerns, they will be better to advocate for changes to how the funds are distributed. For the best results, keep it brief, polite, and personal. You can email your comments directly to: DTMB-CMICGrant(at)michigan.gov.